We know you will love this place! There are all ready so many satisfied customers enjoying this NEW or nearly new alternative in shopping. We put many different items on the sales floor every week. It is a NEW store every time you shop. This can be your secret wardrobe weapon. We have many designers and labels to choose from along with Name Brands from the Galleria and other specialty stores. 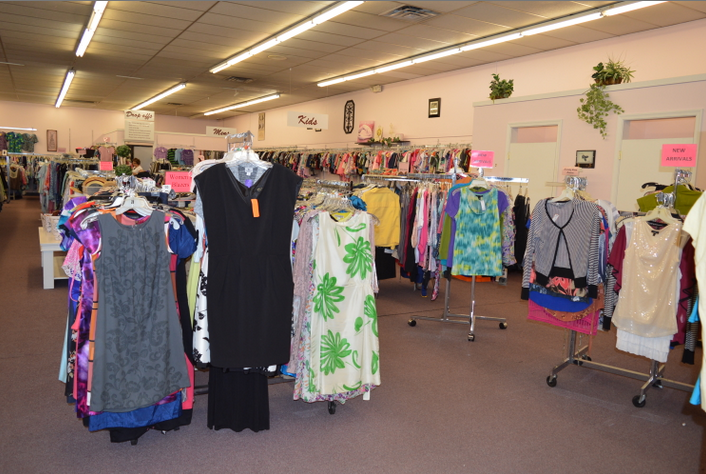 We carry men’s, women’s, teens, kids, plus sizes and maternity. We have new purses and gently used accessories items. The inventory is business, casual or even for that special night out. We maintain an organized store that is easy to get around. Everything is sized and displayed for easy access. We have five dressing rooms to make sure those treasures fit YOU just perfectly. We are selective on the items we take…everything is a find. Find a treasure today! Remember…recycling is great for our earth. Shop often or you may loose out on something wonderful. Try on all sizes. Resale Shops have a variety of labels that fit differently. Save with our BONUS CARD. Spend $50 and receive 10% off your next purchase. Check out the back page of the TRIBUNE DEMOCRAT for Special Sales Days. We mark down items on a regular basis to keep them moving. SALES All items are priced from 50% to 75% OFF what you would pay for it new. We MARK DOWN our items every two weeks. The tickets are clearly marked with the sale price. Save with out BONUS CARD. Spend $50 and receive 10% off your next purchase. Check out the back page of the TRIBUNE DEMOCRAT for Special Sales Days. 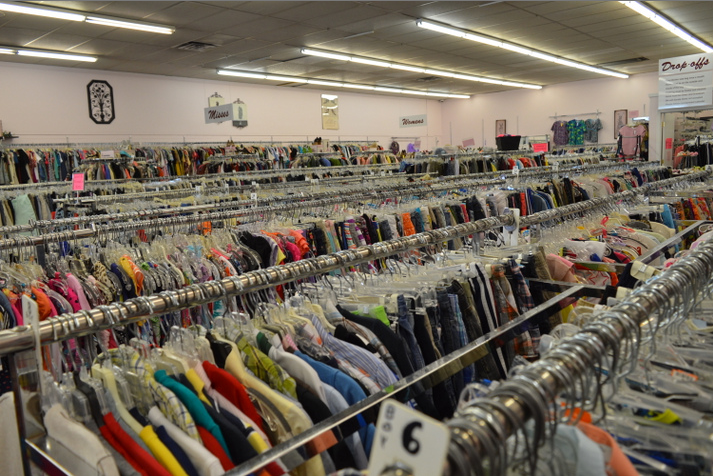 We usually have a clearance rack with items starting at only a $1.00. Winter Sale – 50% off – Third week of January.. Anniversary Sale – 25% off – Early April.. Summer Sale – 50% – Third week of July.